Greek Olympic Values at London 2012? 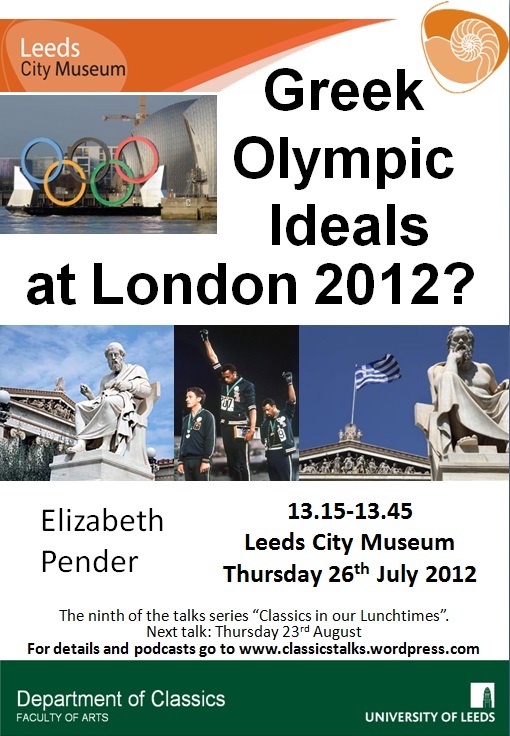 Is Elizabeth Pender’s new talk title (previously billed as “Olympic Ideals and the Ancient Greek Philosophers”) for the Classics in our Lunchtimes lecture series. We’re delighted to have Liz reconsider Olympic values for us from the perspective of community ideals and the ethics of heroism. The talk will reveal both continuities and discontinuities between the values of the ancient and contemporary Olympics. Nice post. I learn one thing tougher on completely different blogs everyday. It’ll all the time be stimulating to learn content material from different writers and practice somewhat one thing from their store. I’d want to use some with the content on my weblog whether or not you don’t mind. Natually I’ll give you a link on your net blog. Thanks for sharing. « How do you find out what’s on next?